Elizabeth Strakosch is a lecturer in public policy and governance, and her research focuses on the intersection of policy and political relationships. She completed her PhD in political science at the University of Queensland in 2011, and worked as a research fellow on a multi-site study of performance measurement in Australian social policy. In 2013, she took up an early career fellowship at the Institute for Culture and Society at the University of Western Sydney, and in 2014 joined the School of Political Science and International Studies at UQ. 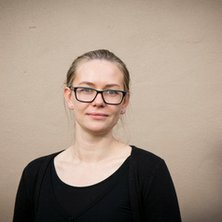 Her research explores the ways that new public policies and administration techniques transform our social relationships and political identities. She is particularly focused on the connections between social policy and political community in liberal and settler colonial contexts. Her recent work explores contemporary Australian Indigenous policy as influenced by neoliberalism, New Public Management, exceptionalism and preventative risk management. Post- self-determination era approaches to Indigenous policy; settler political identity; institutional approaches to Indigenous issues. Contemporary governance and policy techniques; New Public Management and beyond; bureaucratic cultures; forms and political impacts of policy knowledge. Settler colonialism; contemporary sovereignty; links between policy and construction of national identities, racial and social categories. New ways of working? Policy framing, bureaucratic mindsets and resistance to change in Australian remote Indigenous policy. Strakosch, Elizabeth (2015). Settler fantasies. In Fiona Foley, Louise Martin-Chew and Fiona Nicoll (Ed. ), Courting Blakness: Recalibrating Knowledge in the Sandstone University (pp. 100-109) St Lucia, QLD, Australia: University of Queensland Press. Strakosch, Elizabeth (2014). Politics of indigenous development. In Heloise Weber (Ed. ), The Politics of Development: A Survey (pp. 49-68) Abingdon, Oxon, United Kingdom: Routledge. Strakosch, Elizabeth (2014). Stories of beginnings and endings: settler colonial memorials in Australia. In Susanne Buckley-Zistel and Stefanie Schäfer (Ed. ), Memorials in Times of Transition (pp. 125-148) Cambridge: Intersentia. Strakosch, E. (2007). Australia. In Stidson, Sille (Ed. ), The Indigenous World 2007 (pp. 246-253) Copenhagen, Denmark: Eks-Skolens Trykkeri. Strakosch, E. (2006). Australia. In Stidsen, Sille (Ed. ), The Indigenous World 2006 (pp. 232-240) Copenhagen, Denmark: Eks-Skolens Trykkeri. Strakosch, E. and Jull, P. S. (2005). Australia. In Diana Vinding and Sille Stidsen (Ed. ), The Indigenous World 2005 (pp. 233-241) Copenhagen, Denmark: The International Work Group for Indigenous Affairs. Strakosch, Elizabeth (2012) Colonial risk management. Borderlands e-journal, 11 1: 1-28. Strakosch, Elizabeth and Macoun, Alissa (2012) The vanishing endpoint of settler colonialism. Arena Journal, 37/38 40-62. Strakosch, Elizabeth (2005) The Political Methodology of Genocide Denial. Dialogue, 3 3: 1-23. Strakosch, E. (2009). The Political Complexities of 'New Memorials': Victims and Perpetrators Sharing Space in the Australian Capital. In: Memorials and Museums. Berlin Roundtables, Berlin, (x-x). 21 - 26 October 2009. Strakosch, Elizabeth (2008). Abstraction and figuration in monuments and counter-monuments. In: Martin Crotty, When the Soldiers Return: November 2007 Conference Proceedings. When the Soldiers Return: November 2007 Conference, Brisbane, Australia, (270-276). 28-30 November 2007. Elizabeth Strakosch (2011). Neoliberal Indigenous Policy in Australia: Government, Sovereignty and Colonialism PhD Thesis, School of Political Science & Internat'l Studies, The University of Queensland.